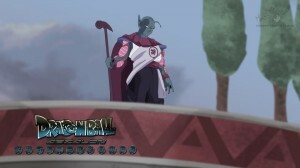 Ever since the first episode of Dragon Ball Absalon was released it has had a major following. The fan made cartoon has brought most Dragon Ball fans dreams to life by bringing us things like Super Saiyan 3 Vegeta and soon to come Supoer Saiyan 5 Goku. The first episode was released in January and was meant to be followed by two more episodes a each a month apart to complete the mini series. With it’s massive success it has been expanded but also unfortunately delayed. i’m just very busy. I’m working very hard on episode 2, so please be patiënt. Animation is time consuming and not that easy at all. Next week i will upload a sneak peak of episode 2. I won’t let you fans down!!!! I clearly made a calculation fault. I thought i can do the episodes in a month with the script, but it still seems to be a lot longer. 1 thing for sure ,there will be some awesome fights!!! It will be a 10 min online episode. And there will be more than 3 episodes!!!! hay thank u guys, you guys are doing great just keep it up and please try to do fast. I’m eagarly waiting for further episodes. Thank u Jesus. You guys are a Godsend. U need to go to DVD. Please????!!!! Pretty please. We love u guys for what u have done. Were in debted forever!!!!!!!!!!!!!!!!!!!!!!!!!! !